Fiskars SPRING-ASSIST SCISSORS Micro-tip 04977 at Simon Says STAMP! 04977 This item is on reserve until If you would like to reserve this item now, you may purchase it now with the rest of your order. We will hold your order now and ship your entire order as soon as this item is back into stock. If you would like your order to ship now, please place this item on a separate order. Success, Fiskars SPRING-ASSIST SCISSORS Micro-tip 04977 has been shared! Our Spring-Assist Micro-Tip® Scissors make cutting intricate details and tight patterns easy for people with arthritis or limited hand strength — so easy, they have earned the Arthritis Foundation® Ease-of-Use Commendation. A spring-action design opens the blades after each cut to reduce hand strain, and the high-grade, stainless-steel blades feature a precision-ground edge that stays sharp longer and cuts all the way to the tip — essential for anyone who cuts fabric. Spring-Assist Micro-Tip® Scissors also include a Softgrip® handle for a more comfortable grip. 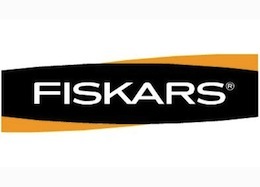 Fiskars is one of the oldest companies in the world. It began as an ironworks in the small village of Fiskars, Finland in 1649. Over the centuries Fiskars manufactured a wide variety of consumer and industrial products including steam engines, plows, and cutlery. Their mission is to deliver lasting innovative design for enthusiasts that empower achievement and self-expression. Fiskar believes that all things, even the simplest, can be made better and smarter!